Happy New Year! 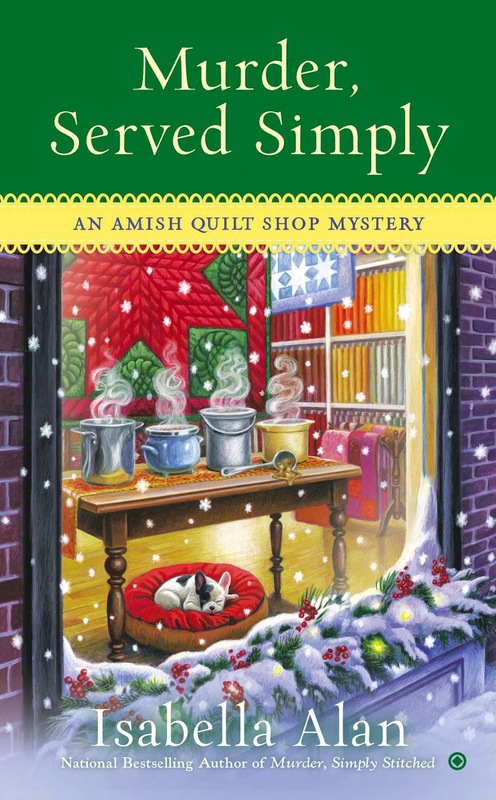 The colorful characters from the Amish Quilt Shop Mysteries are sharing their resolutions for the New Year. How many do you think they will stick to? Angie Braddock: Find a way of getting out of being a Rolling Brook Township Trustee and solve a crime or two. Oliver the French Bulldog: Avoid birds at all costs. Sheriff James Mitchell: Keep Angie Braddock out of my police investigations. Daphne Braddock (Angie’s mother): See Angie married before I die. Kent Braddock (Angie’s father): Eat more donuts. Anna Graber: I don't make resolutions. That is an Englischer practice. Sarah Leham: Find out everyone’s secrets. Aaron Miller: Open my pie factory. Jonah Graber: Start a new business or two without geese. Willow Moon: Perfect my tea recipes. I don’t believe reports that people have gotten food poisoning from it. Happy New Year Amanda/Isabella! I think Sheriff James doesn't stand a chance at keeping his resolution! Angie is way too into his business for that! Love your series...thank you for hours of reading pleasure. That was so entertaining. Loved it. Thank you for writing some great wholesome books. Hope that everyone has a wonderful New Year.